Believe it or not, there are a lot of people who don't know what Modern Warfare 2 is. After more than 13 millions copies of Call of Duty 4: Modern Warfare sold, and a Twitter campaign that topped the charts, consumer awareness is down twenty percent, according to data tracking firm OTX.. Since the game was incorrectly but unanimously titled Call of Duty: Modern Warfare 2 before its official announcement, OTX has a strong and valid base on which to compare the latest data. The question now is: will Modern Warfare 2 regain enough public interest to reach the high sales mark that Activision is shooting for? "Up until the beginning of May, OTX had been tracking the title as Call of Duty: Modern Warfare 2. More specifically, we asked a representative group of gamers in the U.S. whether or not they had heard of Call of Duty: Modern Warfare 2. At that time, approximately 40 percent of all gamers in the U.S. claimed that they had heard of this title. 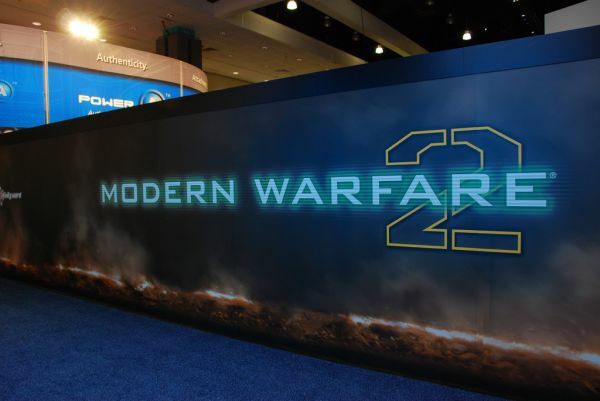 However, once it became clear that Activision was positioning the title as Modern Warfare 2, OTX removed 'Call of Duty' from the consumer survey, and the awareness levels dropped to 20 percent. In other words, the Call of Duty brand association essentially doubles the awareness for the game. That is quite a remarkable statistic." Even so, Williams advises that the Xbox 360 version of Modern Warfare 2 remains the "sixth most anticipated title". If that statement is true and includes the entire known lineup of games for 2009/2010, then it's downright scary to think what kind of interest would be generated had the Call of Duty title been left on. We could have been at the verge of a hype train the magnitude of...Hannah Montana!